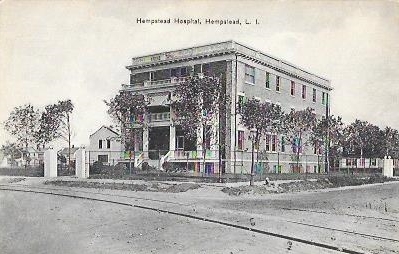 Published by Louis Cohen, Hempstead, L.I. EXCELSIOR ANC N.Y. LEIPZIG DRESDEN BERLIN (American News Co. 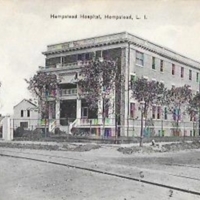 Logo), “Hempstead Hospital, Hempstead, L.I.,” Hofstra University Library Special Collections: Digital Collections, accessed April 20, 2019, https://omeka.hofstra.edu/items/show/2119.